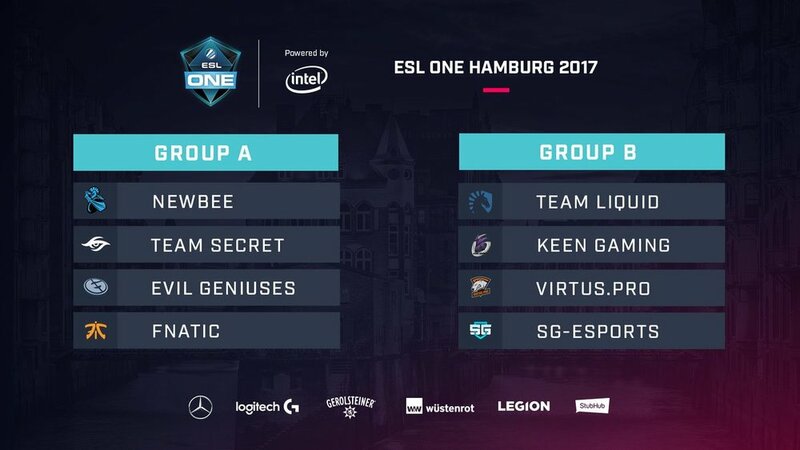 ESL revealed the groups and first matchups for ESL One Hamburg 2017. The Dota 2 Major is the last tournament to be played under the current 7.06f patch. ESL One Hamburg 2017 will occur from October 26th to 29th at Barclaycard Arena, in Hamburg, Germany. A total of eight teams will fight for a share of the $1,000,000 prize and 1,500 Pro Circuit Points. Team Liquid and Newbee received a direct invite, while the remaining ones had to earn a ticket to Germany via the regional qualifier. Unfortunately, HappyFeet had to withdraw due Visa issues, and have been replaced by Fnatic. All teams have been split in groups of four. The invites have been placed in different groups - teams from the same region can’t be in the same group. The group stage will start on October 26th. All times are in CEST. The list of talents for ESL One Hamburg is available here. 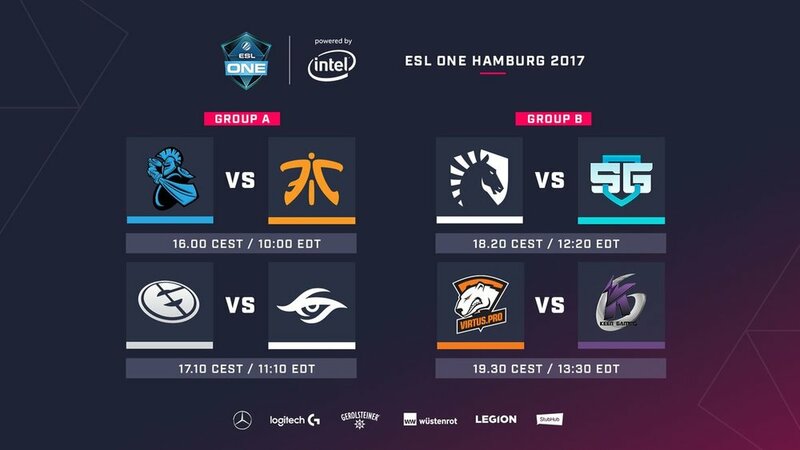 ESL announced the schedule and prize distribution for the first Major of the Dota 2 season: ESL One Hamburg 2017. 8 teams will fight on October 26-29. ESL announced the talent crew for the first Dota 2 Major of the season: ESL One Hamburg 2017. HappyFeet won’t participate at ESL One Hamburg 2017, the first Major of the season, due to Visa issues. Each team taking part at ESL One Hamburg received a customized welcome letter. Jonas "bsl" Vikan, ESL Tournament Director, shared them on Reddit.